It's hard to know these days if someone's hair color was actually done on purpose or by accident. More and more people are catching on to the "trend" of coloring their hair with outrageous colors and calling it hip. For the poor souls below, it can probably be said that they didn't want their locks to end up that way. Looks like it took a lot of time and effort to achieve this look. At least she looks a little happy about it? There's no question about it: this girl was dressing up as a piece of candy corn for Halloween. Right? Totally all in for self-expression, but this looks like there's either a skunk or caterpillar on her head. All the mix-matched colors are hurting my eyeballs. Poor girl's hair looks like it was sizzled off. She looks like she's in mid-bitching mode to her friend Becky. Let's pray for humanity and the future generation that we never see this again. The ombré trend seems hard enough for an actual professional. Looks like she used a paint brush with brown hair dye on it. Oops! 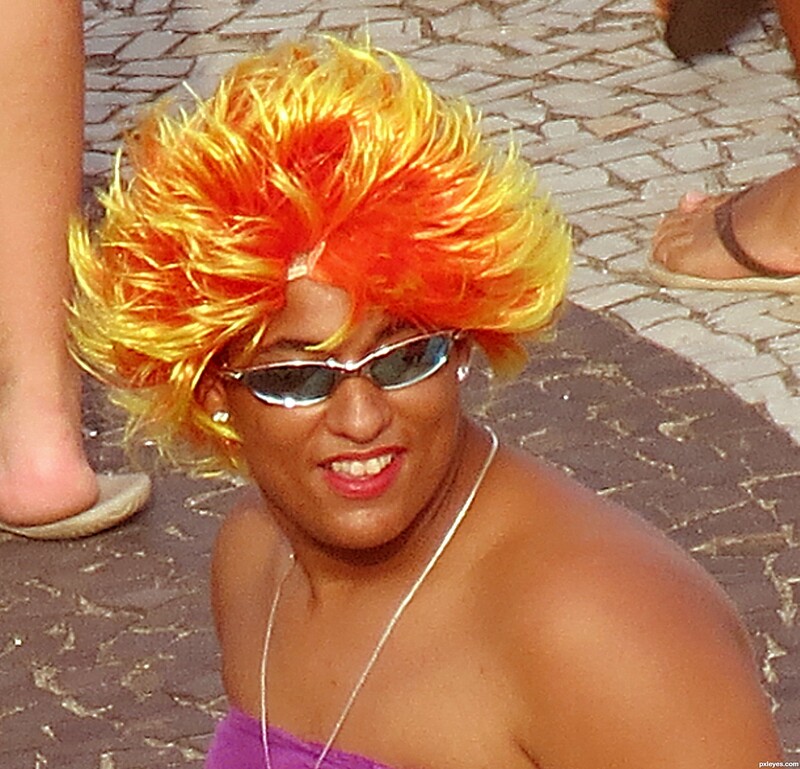 Homegirl is trying to act happy that her hair is on fire. Not sure what was trying to be achieved here, but it doesn't look intentional. Just when you thought this striped look would never resurface its head, it did... on this girl's head. Remember when ladies tried pulling this look off a few years back? It's like she couldn't decide if she wanted to be a brunette or blonde. Darn you, indecisiveness. Color-blocking your outfit? 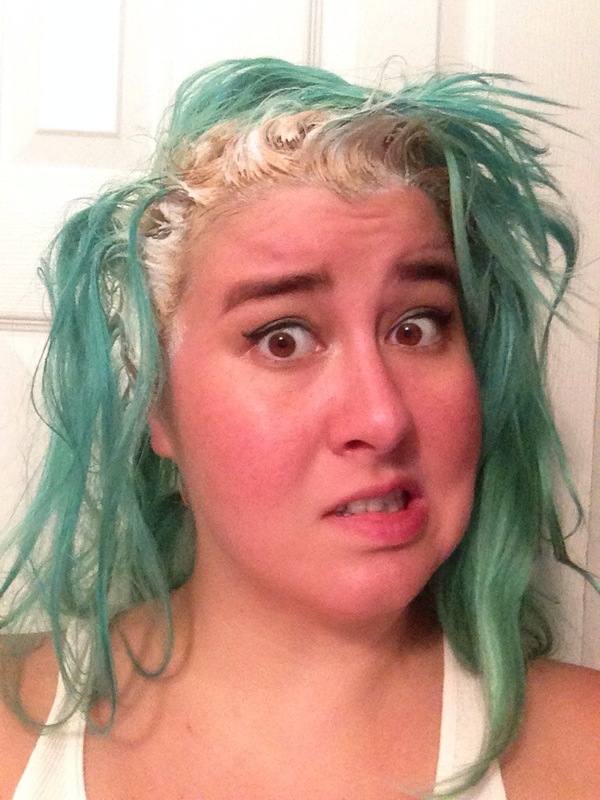 Might as well color-block your head of hair, too. A lot is going on here, which leads me to suspect that she may have done this with a few box colors at home. Somehow this poor woman thinks that the color green would turn out good. By the look of her face, it did not go according to plan. 6 Is it or isn't it? This looks like an ombré, but there's slightly something off about all three picture. Not sure which color this was supposed to turn out to be, but the look on this girl's face says it all. Fail. It may be a huge assumption, but this guy look to be in a prison jumpsuit. He possibly, maybe had too much fun running around impersonating the Joker. We're hoping this is just a rebellious stage. This kids, is the reason why we don't color our hair without knowing what the hell we are doing. Let's all just sit here and let our eyes adjust to these pictures of men thinking it was a good idea to smurf themselves. Here's to hoping this doesn't turn into a trend. In the end though, Ryan G. doesn't care. He still loves ya and that's all that matters.